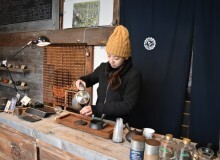 Weekends are the best time to discover Tokyo’s culinary gems. Of all the ways to spend this precious respite from work and stress, indulging in a delicious brunch is a must. 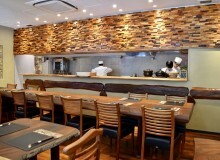 Bistro Vino is an elegant bar and grill just three minutes from the Roppongi Station. A chic interior, quality food and incredible selection of international wines make the restaurant a go-to spot for a delightful brunch experience. Here, guests can indulge in far more than the standard mimosa. 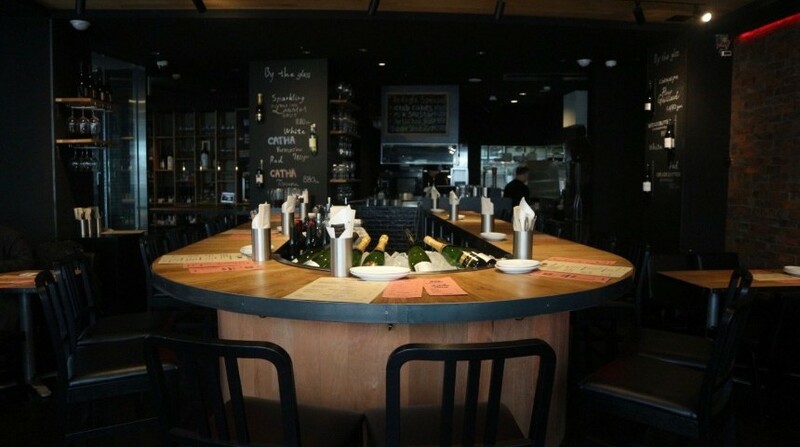 Bistro Vino’s extensive wine list features delicacies like Pierre Gobillard Champagne, whose winery is located a stone’s throw from the legendary Dom Pérignon’s grounds. Pleasantly bubbly with notes of apple, pear and a yeasty aftertaste, the champagne is perfect for picnics and slow sipping. For food, the eggs benedict (¥1,950) comes highly recommended. 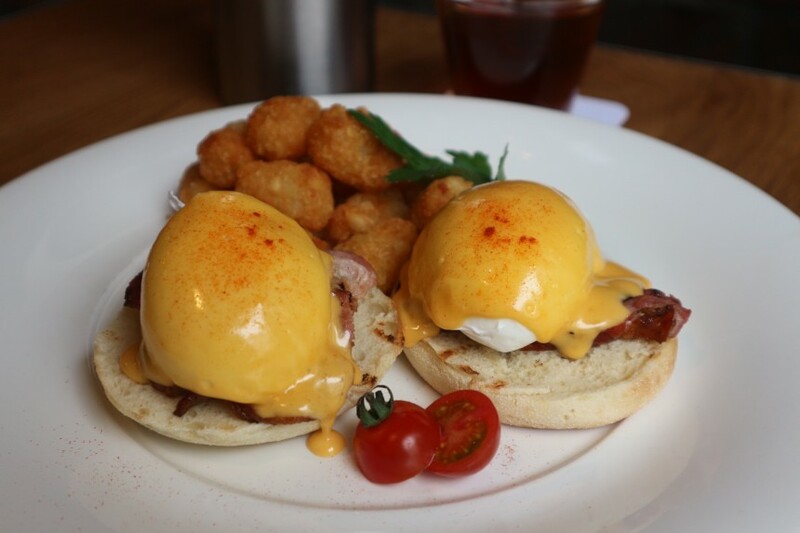 The classic brunch dish features perfectly poached eggs and smoky bacon atop pieces of toasted English muffin, complete with a generous pour of fresh hollandaise sauce. A side of light and crispy tater tots accompanies the hearty eggs. The menu also includes more typical breakfast options, including pancakes, muesli and, of course, avocado toast. A heftier and equally delicious option is the Bistro Vino classic burger (¥1,380). Sandwiched in a special brioche bun, the 100 percent beef chuck patty is flavorful and juicy, with a scrumptious fat content. Various toppings like cheddar cheese, Swiss cheese, avocado and mushroom are available for an additional ¥100 each. The burger is served with two sides: potato and salad. Guests may opt out of one or the other for a leaner meal. 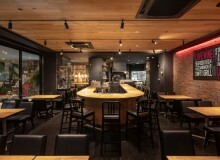 Other mouthwatering burgers include the wagyu burger (¥1,480, featuring local Japanese beef), the grilled chicken burger (¥1,280) and the swordfish burger (¥1,280). Of course, brunch isn’t complete without a sweet treat to round off the meal. 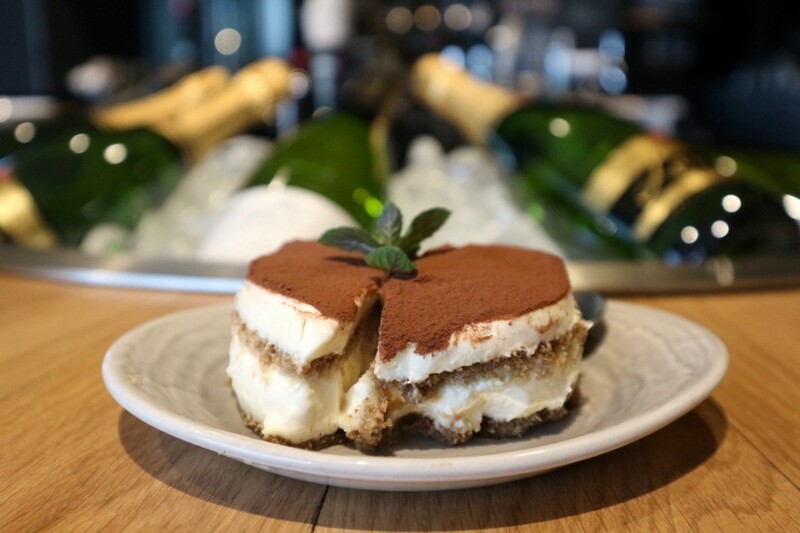 Bistro Vino’s classic Italian tiramisu (¥780) is an ideal dessert with balanced flavors of sweet cream and slightly bitter coffee. Brunch is available on weekends and holidays from 11am to 4pm. Visitors can also enjoy the bistro weekend brunch special, which offers 90 minutes of free-flowing champagne (California Sparkling Wine, ¥2,980 or French PA Gobillard Champagne, ¥4,980). Bring your whole family, including the kids—Bistro Vino offers a children’s menu that could tempt even the adults in the group. Even pets are welcome, on the summer courtyard. For those who are not fans of midday dining, head over to Bistro Vino during dinner hours for more food options and luxurious wines. The complete menu can be found on the Bistro Vino website.